I was reluctant to release this training plan, and here’s why: I don’t think more than a handful of the climbers that will read this plan really need this plan. I have released training plans for novices and intermediate level climbers and I believe these plans are better plans for almost every boulderer. Remember, the advanced bouldering training plan doesn’t have secret exercises or produce faster results. It’s more restrictive, can get downright boring at times, and requires months to produce a result. That being said, for an advanced boulderer, any progress at all is a welcome change. In the early stages of climbing…say the first 2 years, almost anything will cause a boulderer to get better. At this level, simply adding any kind of climbing or (in some cases) even general physical activity is the best path to improvement. “Training” is a waste of time for climbers at this level; their climbing should be looked at as practice and measured in hours. Anyone who has not put in at least one to two thousand hours (and by this I mean actual hours of movement – not hours spent at the crag or gym) in the sport is probably still a novice when it comes to training age. An intermediate-level climber begins to really know failure (and the desire to succeed) on routes and problems. Bouldering, hangboard sessions, and disorganized “training” can be employed to help this climber improve. Usually, by the time a climber has reached this level, he is already at 80% or more of his genetic potential for strength and endurance. Progress really flattens out for the intermediate and these climbers will often hit a long-term plateau; the result of progress simply taking too much work. Many climbers will never leave this plateau, a spot business guru Seth Godin describes as “the dip.” The intermediate stage can last several years and will take a climber to around 90% of his genetic potential. Training for intermediate athletes has to be organized and tracked, but probably not to the degree and advanced climber’s must. Advanced climbers are rare. These are the ones who continually creep up the improvement ladder, even years into a training career. They follow structured plans, and expect to perform at top levels only a few short weeks each year. These climbers are generally well-rounded, and don’t have a particular “style.” Their hard-won efficiency decreases the stress or overload that normal training plans can provide. The better you are, the harder you must train. The program we place our advanced boulderers on is a block-periodized plan, where we concentrate on developing one or two facets of fitness at a time for short training blocks. The blocks run in the 7-10 week range, and each block transitions from general physiological adaptations to more specific climbing adaptations within the constraints of the block’s focus. Occasionally, we run a strength/power endurance block of 4 weeks for climbers deficient in that area. I see this block as less and less necessary for climbers who are consistent with endurance and strength training. If you’re interested in knowing why, check out the High-Low Program. I’ll go into the details of the blocks in a minute, but in general, 75% of the work you’ll do in a given block is aimed at developing that block’s primary quality. The remainder of the training time is dedicated to aggressively maintaining your other hard-earned training qualities. This is where I believe most classical periodization plans fail the test; they allow too much detraining of important qualities during parts of the season. With this plan, you’re always either training to improve or maintain every critical facet of bouldering. I have put together details of typical blocks below. You’ll note that there are no specific durations given. Rather, I suggest that you start with short sessions and try to fit them into your available weekly schedule. Endurance? For bouldering? Yes and yes. Here’s why: Bouldering is an extremely taxing sport that hammers the body’s alactic energy system. This system is powered by ATP and CP, but the reloading of this system is where the real money is. The faster and more completely you can recover between hard efforts, the more quality efforts you’ll have. The system that drives this recovery is the aerobic energy system. The more completely you can develop your aerobic systems, the better they can support your power. We start this training block by developing more general endurance, and then transition into primarily doing climbing-specific work. The whole idea is to do more and more and more quality movement as the block progresses. Aim to increase total training duration for the week. ARC total duration can remain the same, but look for longer bouts of climbing, i.e. 15 min each interval if last week’s were 10 min each. Bouldering, HB STR, RT STR should all be maintained at the same loads. RRC rest durations decreased by 10 seconds. CO sessions increase durations by 3-5% only. Training time increases again, primarily by longer CO sessions. ARC should increase by 5% total time over first two weeks. Bouldering, HB STR, RT STR should all be maintained at the same loads. RRC rest durations decreased by another 5-10 seconds. CO sessions increase durations by 3-5%. Training time can remain steady or increase. ARC should increase by 5-15% per session, but you drop a session. 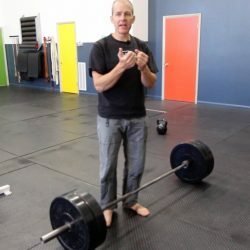 Bouldering, HB STR, RT STR should all be maintained at the same loads, but add a metabolic conditioning component to the end of the RT workout. RRC rest durations decreased by another 5 seconds. CO sessions increase durations by 3-5%. Training time should increase by 3-5 %. ARC is down to one session, Intensive endurance workouts should increase by one interval per set. P-E workout should be intensified. Bouldering, HB, STR / Met remain steady. RRC rest drops by 5 seconds, this being the final workout of the phase. CO sessions are up to 75 minutes each. Add HRI workout. Training time should increase by 3-5 %. ARC time goes up, Intensive endurance workouts should increase by one interval per set. P-E workout should be intensified. Bouldering, HB, STR / Met remain steady. CO session is anywhere from 45 up to 90 minutes. HRI should remain steady, note changes in recovery. Training time should increase by 3-5%. ARC time holds, Intensive endurance workouts should increase by one interval per set. P-E workout should be intensified. Bouldering goes to two sessions, HB, STR / Met remain steady. CO session is anywhere from 45 up to 90 minutes. HRI should remain steady, note changes in recovery. Training time reduced by 40% from week 7. ARC time down to 45 min, Intensive endurance workout holds duration, but is reduced by one full session. P-E workout should hold steady from last week. Bouldering goes to one session, HB holds steady, RT to one session, no increase in loading. CO session is dropped this week. HRI should remain steady, note changes in recovery. The stronger you are, the better your potential to boulder well. It is important to understand that a maximum level of strength (and power) cannot be maintained even by doing the most intense climbing, though. This does not contradict the principle of specificity, but underscores it. The reason we do strength training outside the arena of climbing is because climbing’s multi-faceted nature doesn’t allow for sufficient focus on strength alone. When high levels of performance are reached, training must become “partitioned” in order for the climber to advance. The hardest moves on rock simply cannot be correctly executed without sufficient strength. The mechanism by which supplemental strength training helps climbers should be understood. 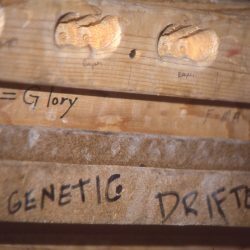 The basic idea is that for any given move, a stronger climber will use a smaller percentage of his maximum strength, and will thus be better able to climb with technical correctness and will be more resistant to fatigue. Elite-level boulderers rely heavily on ATP-CP (alactic) energy systems, the energy that is present and most-readily available for muscular work. These systems are best developed by increasing strength. The strength training block will last anywhere from 8-10 weeks, and will transition from general to specific much like the endurance block above. I am a big fan of special strength training (hangboards, systems, etc.) and resistance training in support of climbing, so you’ll see a lot of it here. Add one strength RT session. Volumes do not increase in sessions. All sessions should be intensified over last week, as long as technical correctness can be maintained. Same design as last week. Volumes (durations) do not increase in sessions. All sessions should be intensified over last week, as long as technical correctness can be maintained. Recovery week, volume reduced by 40%. Remove one RT session. Remove one HB session. Reduce durations of other sessions as needed to hit the 40% reduction. Maintain all intensity parameters from previous week. Week 5 should have the exact same total training time as week 3. We start to change the sessions, however. Work to increase loads in HB, RT, bouldering. Add another special strength session. RT is reduced to one session per week, or two short sessions for older or female athletes. Loads increase in RT, HB, SST. Add another limit-level bouldering session. CO remains steady, usually 45-60 minutes. Similar to week 6 in structure, this is the most intense week of the cycle. Intenisty is up in RT, HB, boulder, and SST. CO remains steady. If you reach the end of this week and are still feeling strong, add another day of bouldering or bouldering + RT. Loads are maintained, but total volume of training decreases by 40%. Most climbers will transition from this to a power cycle, but you can also repeat the strength cycle if you are in a long-term off-season. If you are repeating the cycle, aim to put two recovery weeks in before starting over. Power is efficiency. Optimum use of strength and speed in climbing is the ultimate way to succeed on a limit-level problem. The more a boulderer can maximize his power, the better he can climb. What’s so cool about power is that you don’t have to be super strong to be super powerful; by blending in other elements such as speed and timing, you can climb just as hard as the next guy. The power block is where we start to see performance really start to improve. The thing to watch out for in this block is trying too hard to put in performance sessions. When you’re starting to climb well, it’s hard not to just go out and send stuff. For advanced boulderers, the end stages of a power block are where we really can see improvement in performance, not just the usual return to fitness. This phase starts with a strength RT session carried over from the previous cycle. One power RT session to get loading figured out, plus one 50-70 minute power climbing session. Limit bouldering should be no more than 45 min in duration after warm-up. Hangboard STR continues from previous cycle, with the addition of more goal-specific holds. Increase Power RT sessions to 2x per week (separated by at least 2 days). Increase climbing power sessions to two days. Limit bouldering should intensify, maintaining volume. Hangboard should remain steady. Same as last week, with intensification an all sessions. Same format as previous week, reduce volume by 20-25% in all workouts. Power RT should be decreased by one session, but should intensify. Climbing power sessions intensify, add another bouldering session. Hangboard STR remains steady. Same format as last week, but intensification across the board. More sessions do not equal more power, so make sure to give everything in each set. That way you don’t feel like you’ve go a lot left in the tank at the end of the cycle. This cycle should be followed by a performance phase or trip. If you are doing longer problems or route climbing, you can add a 3-4 week PE cycle at this point. This is low-intensity, technically correct climbing. Climbers should try to keep the arms actively working, but not pumped, trying to stay about 5-10% below threshold. It is critical to pay attention to climbing with excellent technique. ARCing will take up a vast percentage of your climbing time; climb with poor technique, and you’ll ingrain those motor patterns. Work toward longer continuous bouts of climbing throughout a cycle. It doesn’t really matter how much time you start with as long as you are increasing that time as you progress through the phase. Do problems you can’t onsight, i.e. hard ones. You should be doing things that take MANY tries. Do different kinds of problems. Switch wall angles and hold types as much as you can, and look for angles that challenge you more than others. Keep the problems relatively short. We boulder in this program primarily to develop power and this is best done in efforts around 10 seconds. Do hangs on 4 different hold types for 3-4 sets each. Hangs should cause failure in fewer than 8 seconds. Full crimping, as dangerous as it can be, should be trained every single session. This is a good session to combo with other training, even bouldering. We’ve seen enough athletes do boulder/hangboard sessions to know that it’s possible, and still effective. Look to give max effort on each exercise, resting as needed. Getting winded won’t make you stronger. Look for 8-10 total reps across 3-4 sets for each exercise early in the Strength and Power blocks. Later in the blocks, look for 5-8 total reps across 1 to 3 sets. In other words, if you are doing more than about 3 reps per set, your weights are too light. The total body exercise is almost always bridging into power. This is OK and done intentionally. 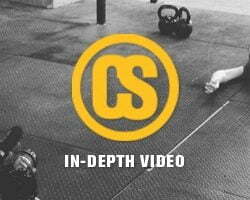 Cleans, snatches, thrusters, get-ups, and variations are all good choices. In the complex system of “cardiovascular fitness” there’s more to the puzzle than just getting your heart rate up. As I stated earlier, we, as climbers, tend to discount the value of aerobic energy production. This despite the fact that the vast majority of the energy we use to get up the rock is provided by this system. In addition to this, the aerobic system is used by the anaerobic energy systems to “refuel” after hard efforts. It is important to remember that the cardiovascular system doesn’t end at the heart. The muscles we are training are actively engaged in using the aerobic pathways to produce ATP for movement at all times. Aerobic energy production has three major factors: oxygen supply, oxygen utilization, and use of energy substrates. The Cardiac Output method of training is a critical component of the oxygen supply picture. This type of training directly affects how much blood your heart can push through the system, a factor called “stroke volume.” By using enough long, slow training, your cardiac output increases, resulting in a more efficient heart, lower heart rate training zones, and a lower resting heart rate. Although higher intensity methods such as tempo running or interval work have shown increases in cardiovascular fitness (i.e. the over-popular Tabata Protocol), there is an important and often overlooked distinction. Higher intensity efforts tend to cause greater thickness in the walls of the heart (concentric cardiac hypertrophy) and don’t affect the size of the chambers so much. At the higher heart rates associated with hard training, the heart pumps so fast that the chambers don’t fill completely, and therefore doesn’t encourage increases in the size of the ventricular cavity. The major stimuli for the adaptations here is the frequency and volume of lower-intensity training. It’s a fairly simple method: simply train with your heart rate in the 65-75% of max HR zone. During general endurance phases, this method is used 3-4 days per week. During other phases (except Performance Climbing) we’ll maintain levels with 1-3 days per week. Training durations should be 30 minutes at minimum up to 120 minutes. This method includes long intervals and recovery laps. What we look for here is to ride right on the anaerobic threshold as we climb, getting a little pumped, then recovering, and repeating. Intervals can be as simple as 5 minutes on 5 minutes off, with the feeling that you could climb another minute or two. Recovery laps can just be linked problems with active rests between, such as a good jug or stem. Total workout duration should be 30-90 minutes. Start conservatively, and add more laps to increase difficulty rather than making individual laps longer. We use two primary methods of PE training for boulderers: Linked problems and Density Training. These are both covered extensively elsewhere, so I won’t go over it again. Stick with one method throughout a cycle, and look to intensify efforts by increasing the difficulty of the problems rather than altering other parameters such as rest periods or session length. Heart Rate Intervals are all about improving cardiovascular efficiency, especially in terms of recovery. This method is really simple in our bouldering program. We do 1 minute of hard steady-paced activity (we like the Concept 2 rower or the Airdyne) followed by a recovery of easy activity until the heart rate drops back to 60% of max. (This can be calculated using the simplistic 220-age formula). Do 5 repeats per training session, preceded by a good warm-up. Keep track of recovery times to gauge progress. They will get longer as the session progresses, but should drop across the board as you progress. This is the most critical type of training an advanced climber can do. It involves developing individual qualities of climbing movement in isolation. Since climbing is an overwhelmingly complex set of movements, this training allows us to eliminate weak links in a boulderer’s ability. A normal SST session would include 1-3 exercises and might last 30-40 minutes. As always, technical correctness, high loads, progression from the last workouts, and sufficient rest are the pillars of a good session. I know I sound like a broken record, but you shouldn’t feel pumped or winded in these sessions. Rest more than you think you should. Gauge the session not by how it feels, but by the result it produces.